Acquired Brain Injury can be defined as a non-degenerative and non-congenital insult to the brain that may produce a diminished or altered state of consciousness, and result in impaired cognitive, physical, emotional, and/or behavioral functioning. Automobile accidents are a leading cause of Acquired Brain Injury in Saskatchewan. Other causes include, but are not limited to falls, cycling accidents, strokes, tumors, aneurysms, encephalitis, and other non-degenerative diseases. There are no drugs or techniques that can cure a brain injury, prevention is the only cure! Predictors of Caregiver and Family Functioning Following Traumatic Brain Injury: Social Support Moderates Caregiver Distress. These are available in hard copy at the Government Services Distribution Centre in quantities of 50 tear sheets per pad. You can contact them at (306) 787-2056 and place an order. They are also available electronically on the Ministry's website. Traumatic brain injury (TBI) is a major public health problem, especially among male adolescents and young adults ages 15 to 24, and among elderly people of both sexes 75 years and older. 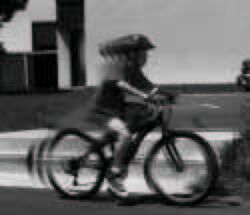 Children aged 5 and younger are also at high risk for TBI. 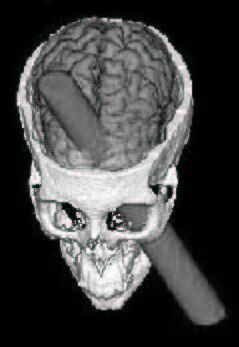 Perhaps the most famous TBI patient in the history of medicine was Phineas Gage. In 1848, Gage was a 25-year-old railway construction foreman working on the Rutland and Burlington Railroad in Vermont. In the 19th century, little was understood about the brain and even less was known about how to treat injury to it. Most serious injuries to the brain resulted in death due to bleeding or infection. Gage was working with explosive powder and a packing rod, called a tamping iron, when a spark caused an explosion that propelled the 3-foot long, pointed rod through his head. It penetrated his skull at the top of his head, passed through his brain, and exited the skull by his temple. Amazingly, he survived the accident with the help of physician John Harlow who treated Gage for 73 days. Before the accident Gage was a quiet, mild-mannered man; after his injuries he became an obscene, obstinate, self-absorbed man. He continued to suffer personality and behavioral problems until his death in 1861. This computer-generated graphic shows how, in 1848, a 3-foot long, pointed rod penetrated the skull of Phineas Gage, a railway construction foreman. The rod entered at the top of his head, passed through his brain, and exited his skull by his temple. Gage survived the accident but suffered lasting personality and behavioral problems. Today, we understand a great deal more about the healthy brain and its response to trauma, although science still has much to learn about how to reverse damage resulting from head injuries. TBI costs the country more than $56 billion a year, and more than 5 million Americans alive today have had a TBI resulting in a permanent need for help in performing daily activities. Survivors of TBI are often left with significant cognitive, behavioral, and communicative disabilities, and some patients develop long-term medical complications, such as epilepsy. · approximately 230,000 people are hospitalized for TBI and survive. 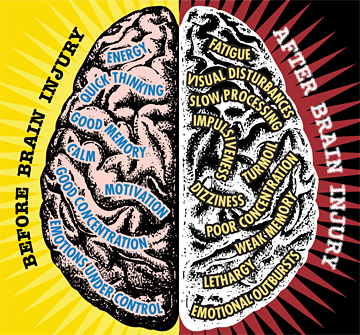 TBI, a form of acquired brain injury, occurs when a sudden trauma causes damage to the brain. The damage can be focal - confined to one area of the brain - or diffuse - involving more than one area of the brain. TBI can result from a closed head injury* or a penetratinghead injury. A closed injury occurs when the head suddenly and violently hits an object but the object does not break through the skull. A penetrating injury occurs when an object pierces the skull and enters brain tissue. Symptoms of a TBI can be mild, moderate, or severe, depending on the extent of the damage to the brain. Some symptoms are evident immediately, while others do not surface until several days or weeks after the injury. A person with a mild TBI may remain conscious or may experience a loss of consciousness for a few seconds or minutes. The person may also feel dazed or not like himself for several days or weeks after the initial injury. Other symptoms of mild TBI include headache, confusion, lightheadedness, dizziness, blurred vision or tired eyes, ringing in the ears, bad taste in the mouth, fatigue or lethargy, a change in sleep patterns, behavioral or mood changes, and trouble with memory, concentration, attention, or thinking. A person with a moderate or severe TBI may show these same symptoms, but may also have a headache that gets worse or does not go away, repeated vomiting or nausea, convulsions or seizures, inability to awaken from sleep, dilation of one or both pupils of the eyes, slurred speech, weakness or numbness in the extremities, loss of coordination, and/or increased confusion, restlessness, or agitation. Small children with moderate to severe TBI may show some of these signs as well as signs specific to young children, such as persistent crying, inability to be consoled, and/or refusal to nurse or eat. Anyone with signs of moderate or severe TBI should receive medical attention as soon as possible. 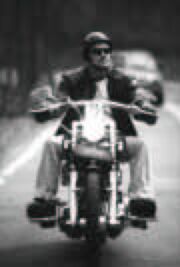 Half of all TBIs are due to transportation accidents involving automobiles, motorcycles, bicycles, and pedestrians. These accidents are the major cause of TBI in people under age 75. For those 75 and older, falls cause the majority of TBIs. Approximately 20 percent of TBIs are due to violence, such as firearm assaults and child abuse, and about 3 percent are due to sports injuries. Fully half of TBI incidents involve alcohol use. The cause of the TBI plays a role in determining the patient's outcome. For example, approximately 91 percent of firearm TBIs (two-thirds of which may be suicidal in intent) result in death, while only 11 percent of TBIs from falls result in death. Transportation accidents involving automobiles, motorcycles, bicycles, and pedestrians account for half of all TBIs and are the major cause of TBIs in people under age 75. Concussion is the most minor and the most common type of TBI. Technically, a concussion is a short loss of consciousness in response to a head injury, but in common language the term has come to mean any minor injury to the head or brain. Other injuries are more severe. As the first line of defense, the skull is particularly vulnerable to injury. Skull fractures occur when the bone of the skull cracks or breaks. A depressed skull fracture occurs when pieces of the broken skull press into the tissue of the brain. A penetrating skull fracture occurs when something pierces the skull, such as a bullet, leaving a distinct and localized injury to brain tissue. Skull fractures can cause bruising of brain tissue called a contusion. A contusion is a distinct area of swollen brain tissue mixed with blood released from broken blood vessels. A contusion can also occur in response to shaking of the brain back and forth within the confines of the skull, an injury called . contrecoup .. This injury often occurs in car accidents after high-speed stops and in shaken baby syndrome, a severe form of head injury that occurs when a baby is shaken forcibly enough to cause the brain to bounce against the skull. In addition, contrecoup can cause diffuse axonal injury , also called shearing , which involves damage to individual nerve cells ( neurons ) and loss of connections among neurons. This can lead to a breakdown of overall communication among neurons in the brain. Damage to a major blood vessel in the head can cause a hematoma , or heavy bleeding into or around the brain. Three types of hematomas can cause brain damage. An epidural hematoma involves bleeding into the area between the skull and the dura. With a subdural hematoma , bleeding is confined to the area between the dura and the arachnoid membrane . Bleeding within the brain itself is called intracerebral hematoma . Another insult to the brain that can cause injury is anoxia . Anoxia is a condition in which there is an absence of oxygen supply to an organ's tissues, even if there is adequate blood flow to the tissue. Hypoxia refers to a decrease in oxygen supply rather than a complete absence of oxygen. Without oxygen, the cells of the brain die within several minutes. This type of injury is often seen in neardrowning victims, in heart attack patients, or in people who suffer significant blood loss from other injuries that decrease blood flow to the brain. What Medical Care Should a TBI Patient Receive? Medical care usually begins when paramedics or emergency medical technicians arrive on the scene of an accident or when a TBI patient arrives at the emergency department of a hospital. Because little can be done to reverse the initial brain damage caused by trauma, medical personnel try to stabilize the patient and focus on preventing further injury. Primary concerns include insuring proper oxygen supply to the brain and the rest of the body, maintaining adequate blood flow, and controlling blood pressure. Emergency medical personnel may have to open the patient's airway or perform other procedures to make sure the patient is breathing. They may also perform CPR to help the heart pump blood to the body, and they may treat other injuries to control or stop bleeding. Because many head-injured patients may also have spinal cord injuries, medical professionals take great care in moving and transporting the patient. 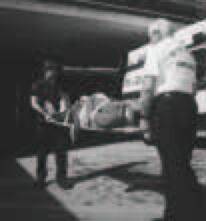 Ideally, the patient is placed on a back-board and in a neck restraint. These devices immobilize the patient and prevent further injury to the head and spinal cord. Medical professionals take great care in moving and transporting head-injured patients. Often back-boards and neck restraints are used to immobilize patients and prevent further injury. As soon as medical personnel have stabilized the head-injured patient, they assess the patient's condition by measuring vital signs and reflexes and by performing a neurological examination. They check the patient's temperature, blood pressure, pulse, breathing rate, and pupil size in response to light. They assess the patient's level of consciousness and neurological functioning using the Glasgow Coma Scale, a standardized, 15-point test that uses three measures - eye opening, best verbal response, and best motor response - to determine the severity of the patient's brain injury. 4 indicates that the patient can open his eyes spontaneously. 3 is given if the patient can open his eyes on verbal command. 2 indicates that the patient opens his eyes only in response to painful stimuli. 1 is given if the patient does not open his eyes in response to any stimulus. 5 is given if the patient is oriented and can speak coherently. 4 indicates that the patient is disoriented but can speak coherently. 3 means the patient uses inappropriate words or incoherent language. 2 is given if the patient makes incomprehensible sounds. 1 indicates that the patient gives no verbal response at all. 6 means the patient can move his arms and legs in response to verbal commands. A score between 5 and 2 is given if the patient shows movement in response to a variety of stimuli, including pain. 1 indicates that the patient shows no movement in response to stimuli. The results of the three tests are added up to determine the patient's overall condition. A total score of 3 to 8 indicates a severe head injury, 9 to 12 indicates a moderate head injury, and 13 to 15 indicates a mild head injury. Imaging tests help in determining the diagnosis and prognosis of a TBI patient. Patients with mild to moderate injuries may receive skull and neck X-rays to check for bone fractures or spinal instability. The patient should remain immobilized in a neck and back restraint until medical personnel are certain that there is no risk of spinal cord injury. 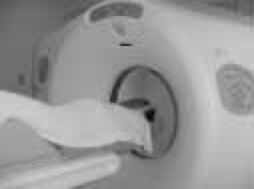 For moderate to severe cases, the gold standard imaging test is a computed tomography (CT) scan. The CT scan creates a series of crosssectional X-ray images of the head and brain and can show bone fractures as well as the presence of hemorrhage, hematomas, contusions, brain tissue swelling, and tumors. Magnetic resonance imaging (MRI) may be used after the initial assessment and treatment of the TBI patient. MRI uses magnetic fields to detect subtle changes in brain tissue content and can show more detail than X-rays or CT. Unfortunately, MRI is not ideal for routine emergency imaging of TBI patients because it is time-consuming and is not available in all hospitals. Approximately half of severely head-injured patients will need surgery to remove or repair hematomas or contusions. Patients may also need surgery to treat injuries in other parts of the body. These patients usually go to the intensive care unit after surgery. Sometimes when the brain is injured swelling occurs and fluids accumulate within the brain space. It is normal for bodily injuries to cause swelling and disruptions in fluid balance. But when an injury occurs inside the skull-encased brain, there is no place for swollen tissues to expand and no adjoining tissues to absorb excess fluid. This increased pressure is called intracranialpressure (ICP) . Medical personnel measure patients. ICP using a probe or catheter. The instrument is inserted through the skull to the subarachnoid level and is connected to a monitor that registers the patient's ICP. If a patient has high ICP, he or she may undergo a ventriculostomy , a procedure that drains cerebrospinal fluid (CSF) from the brain to bring the pressure down. Drugs that can be used to decrease ICP include mannitol or barbiturates, although the safety and effectiveness of the latter are unknown. A computed tomography scan creates X-ray images of the head and brain. This imaging test can show bone fractures, hemorrhages, hematomas, contusions, brain tissue swelling, and tumors, and can help determine the prognosis of TBI patients. How Does a TBI Affect Consciousness? A TBI can cause problems with arousal, consciousness, awareness, alertness, and responsiveness. Generally, there are five abnormal states of consciousness that can result from a TBI: stupor, coma, persistent vegetative state, locked-in syndrome, and brain death. Stupor is a state in which the patient is unresponsive but can be aroused briefly by a strong stimulus, such as sharp pain. Coma is a state in which the patient is totally unconscious, unresponsive, unaware, and unarousable. Patients in a coma do not respond to external stimuli, such as pain or light, and do not have sleep-wake cycles. Coma results from widespread and diffuse trauma to the brain, including the cerebral hemispheres of the upper brain and the lower brain or brainstem. Coma generally is of short duration, lasting a few days to a few weeks. After this time, some patients gradually come out of the coma, some progress to a vegetative state, and others die. Patients in a vegetative state are unconscious and unaware of their surroundings, but they continue to have a sleep-wake cycle and can have periods of alertness. 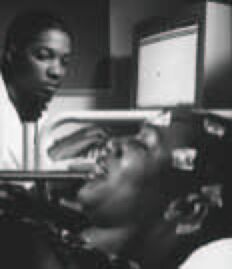 Unlike coma, where the patients eyes are closed, patients in a vegetative state often open their eyes and may move, groan, or show reflex responses. A vegetative state can result from diffuse injury to the cerebral hemispheres of the brain without damage to the lower brain and brainstem. Anoxia, or lack of oxygen to the brain, which is a common complication of cardiac arrest, can also bring about a vegetative state. Many patients emerge from a vegetative state within a few weeks, but those who do not recover within 30 days are said to be in a persistent vegetative state (PVS) . The chances of recovery depend on the extent of injury to the brain and the patient's age, with younger patients having a better chance of recovery than older patients. Generally adults have a 50 percent chance and children a 60 percent chance of recovering consciousness from a PVS within the first 6 months. After a year, the chances that a PVS patient will regain consciousness are very low and most patients who do recover consciousness experience significant disability. The longer a patient is in a PVS, the more severe the resulting disabilities will be. Rehabilitation can contribute to recovery, but many patients never progress to the point of being able to take care of themselves. Locked-in syndrome is a condition in which a patient is aware and awake, but cannot move or communicate due to complete paralysis of the body. Advances in imaging and other technologies have led to devices that help differentiate among the variety of unconscious states. Unlike PVS, in which the upper portions of the brain are damaged and the lower portions are spared, locked-in syndrome is caused by damage to specific portions of the lower brain and brainstem with no damage to the upper brain. Most locked-in syndrome patients can communicate through movements and blinking of their eyes, which are not affected by the paralysis. Some patients may have the ability to move certain facial muscles as well. The majority of locked-in syndrome patients do not regain motor control, but several devices are available to help patients communicate. With the development over the last half-century of assistive devices that can artificially maintain blood flow and breathing, the term brain death has come into use. Brain death is the lack of measurable brain function due to diffuse damage to the cerebral hemispheres and the brainstem, with loss of any integrated activity among distinct areas of the brain. Brain death is irreversible. Removal of assistive devices will result in immediate cardiac arrest and cessation of breathing. 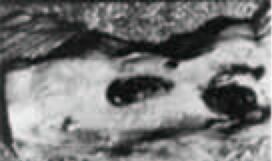 Advances in imaging and other technologies have led to devices that help differentiate among the variety of unconscious states. For example, an imaging test that shows activity in the brainstem but little or no activity in the upper brain would lead a physician to a diagnosis of vegetative state and exclude diagnoses of brain death and locked-in syndrome. On the other hand, an imaging test that shows activity in the upper brain with little activity in the brainstem would confirm a diagnosis of locked-in syndrome, while invalidating a diagnosis of brain death or vegetative state. The use of CT and MRI is standard in TBI treatment, but other imaging and diagnostic techniques that may be used to confirm a particular diagnosis include cerebral angiography, electroencephalography (EEG), transcranial Doppler ultrasound, and single photon emission computed tomography (SPECT). What Immediate Post-Injury Complications Can Occur From a TBI? Sometimes, health complications occur in the period immediately following a TBI. These complications are not types of TBI, but are distinct medical problems that arise as a result of the injury. Although complications are rare, the risk increases with the severity of the trauma. Complications of TBI include immediate seizures, hydrocephalus or post-traumatic ventricular enlargement, CSF leaks, infections, vascular injuries, cranial nerve injuries, pain, bed sores, multiple organ system failure in unconscious patients, and polytrauma (trauma to other parts of the body in addition to the brain). A medical technician carefully monitors a patient undergoing an electroencephalogram, a diagnostic technique used to detect abnormalities in brain waves. About 25 percent of patients with brain contusions or hematomas and about 50 percent of patients with penetrating head injuries will develop immediate seizures , seizures that occur within the first 24 hours of the injury. These immediate seizures increase the risk of early seizures - defined as seizures occurring within 1 week after injury - but do not seem to be linked to the development of /I>post-traumatic epilepsy (recurrent seizures occurring more than 1 week after the initial trauma). Generally, medical professionals use anticonvulsant medications to treat seizures in TBI patients only if the seizures persist. Hydrocephalus or post-traumatic ventricular enlargement occurs when CSF accumulates in the brain resulting in dilation of the cerebral ventricles (cavities in the brain filled with CSF) and an increase in ICP. This condition can develop during the acute stage of TBI or may not appear until later. Generally it occurs within the first year of the injury and is characterized by worsening neurological outcome, impaired consciousness, behavioral changes, ataxia (lack of coordination or balance), incontinence, or signs of elevated ICP. The condition may develop as a result of meningitis , subarachnoid hemorrhage, intracranial hematoma, or other injuries. Treatment includes shunting and draining of CSF as well as any other appropriate treatment for the root cause of the condition. Skull fractures can tear the membranes that cover the brain, leading to CSF leaks. A tear between the dura and the arachnoid membranes, called a CSF fistula , can cause CSF to leak out of the subarachnoid space into the subdural space; this is called a subdural hygroma . CSF can also leak from the nose and the ear. These tears that let CSF out of the brain cavity can also allow air and bacteria into the cavity, possibly causing infections such as meningitis. Pneumocephalus occurs when air enters the intracranial cavity and becomes trapped in the subarachnoid space. Infections within the intracranial cavity are a dangerous complication of TBI. They may occur outside of the dura, below the dura, below the arachnoid (meningitis), or within the space of the brain itself (abscess). Most of these injuries develop within a few weeks of the initial trauma and result from skull fractures or penetrating injuries. Standard treatment involves antibiotics and sometimes surgery to remove the infected tissue. Meningitis may be especially dangerous, with the potential to spread to the rest of the brain and nervous system. Any damage to the head or brain usually results in some damage to the vascular system, which provides blood to the cells of the brain. The body's immune system can repair damage to small blood vessels, but damage to larger vessels can result in serious complications. Damage to one of the major arteries leading to the brain can cause a stroke, either through bleeding from the artery ( hemorrhagic stroke ) or through the formation of a clot at the site of injury, called a thrombus or thrombosis , blocking blood flow to the brain ( ischemic stroke ). Blood clots also can develop in other parts of the head. Symptoms such as headache, vomiting, seizures, paralysis on one side of the body, and semi-consciousness developing within several days of a head injury may be caused by a blood clot that forms in the tissue of one of the sinuses, or cavities, adjacent to the brain. Thrombotic-ischemic strokes are treated with anticoagulants, while surgery is the preferred treatment for hemorrhagic stroke. Other types of vascular injuries include vasospasm and the formation of aneurysms . Skull fractures, especially at the base of the skull, can cause cranial nerve injuries that result in compressive cranial neuropathies . All but three of the 12 cranial nerves project out from the brainstem to the head and face. The seventh cranial nerve, called the facial nerve, is the most commonly injured cranial nerve in TBI and damage to it can result in paralysis of facial muscles. Pain is a common symptom of TBI and can be a significant complication for conscious patients in the period immediately following a TBI. Headache is the most common form of pain experienced by TBI patients, but other forms of pain can also be problematic. Serious complications for patients who are unconscious, in a coma, or in a vegetative state include bed or pressure sores of the skin, recurrent bladder infections, pneumonia or other life-threatening infections, and progressive multiple organ failure. Most TBI patients have injuries to other parts of the body in addition to the head and brain. Physicians call this polytrauma. These injuries require immediate and specialized care and can complicate treatment of and recovery from the TBI. Other medical complications that may accompany a TBI include pulmonary (lung) dysfunction; cardiovascular (heart) dysfunction from blunt chest trauma; gastrointestinal dysfunction; fluid and hormonal imbalances; and other isolated complications, such as fractures, nerve injuries, deep vein thrombosis , excessive blood clotting, and infections. In addition to head and brain injuries, most TBI patients have injuries in other parts of the body - a condition called polytrauma . The formation of blood clots deep inside a vein (shown above), referred to as deep vein thrombosis, is one of the many medical complications that may occur with TBI. Trauma victims often develop hypermetabolism or an increased metabolic rate, which leads to an increase in the amount of heat the body produces. The body redirects into heat the energy needed to keep organ systems functioning, causing muscle wasting and the starvation of other tissues. Complications related to pulmonary dysfunction can include neurogenic pulmonary edema (excess fluid in lung tissue), aspiration pneumonia (pneumonia caused by foreign matter in the lungs), and fat and blood clots in the blood vessels of the lungs. Fluid and hormonal imbalances can complicate the treatment of hypermetabolism and high ICP. Hormonal problems can result from dysfunction of the pituitary, the thyroid, and other glands throughout the body. Two common hormonal complications of TBI are syndrome of inappropriate secretion of antidiuretic hormone (SIADH) and hypothyroidism. Blunt trauma to the chest can also cause cardiovascular problems, including damage to blood vessels and internal bleeding, and problems with heart rate and blood flow. Blunt trauma to the abdomen can cause damage to or dysfunction of the stomach, large or small intestines, and pancreas. A serious and common complication of TBI is erosive gastritis , or inflammation and degeneration of stomach tissue. This syndrome can cause bacterial growth in the stomach, increasing the risk of aspiration pneumonia. Standard care of TBI patients includes administration of prophylactic gastric acid inhibitors to prevent the buildup of stomach acids and bacteria. In non-fluent aphasia , also called Broca's aphasia or motor aphasia, TBI patients often have trouble recalling words and speaking in complete sentences. They may speak in broken phrases and pause frequently. Most patients are aware of these deficits and may become extremely frustrated. Patients with fluent aphasia, also called Wernicke's aphasia or sensory aphasia, display little meaning in their speech, even though they speak in complete sentences and use correct grammar. Instead, they speak in flowing gibberish, drawing out their sentences with non-essential and invented words. Many patients with fluent aphasia are unaware that they make little sense and become angry with others for not understanding them. Patients with global aphasia have extensive damage to the portions of the brain responsible for language and often suffer severe communication disabilities. TBI patients may have problems with spoken language if the part of the brain that controls speech muscles is damaged. In this disorder, called dysarthria , the patient can think of the appropriate language, but cannot easily speak the words because they are unable to use the muscles needed to form the words and produce the sounds. Speech is often slow, slurred, and garbled. Some may have problems with intonation or inflection, called prosodic dysfunction. An important aspect of speech, inflection conveys emotional meaning and is necessary for certain aspects of language, such as irony. Communication disabilities such as language and speech problems are common among TBI patients. 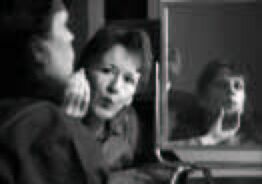 Above, a speech therapist uses a mirror in her work, performing exercises to help a patient relearn speaking skills. These language deficits can lead to miscommunication, confusion, and frustration for the patient as well as those interacting with him or her. Are There Other Long-Term Problems Associated With a TBI? In addition to the immediate post-injury complications discussed on page 13, other long-term problems can develop after a TBI. These include Parkinson's disease and other motor problems, Alzheimer's disease, dementia pugilistica , and post-traumatic dementia. Parkinson's disease and other motor problems - Movement disorders as a result of TBI are rare but can occur. Parkinson's disease may develop years after TBI as a result of damage to the basal ganglia. Symptoms of Parkinson's disease include tremor or trembling, rigidity or stiffness, slow movement (bradykinesia), inability to move (akinesia), shuffling walk, and stooped posture. Despite many scientific advances in recent years, Parkinson's disease remains a chronic and progressive disorder, meaning that it is incurable and will progress in severity until the end of life. Other movement disorders that may develop after TBI include tremor, ataxia (uncoordinated muscle movements), and myoclonus (shock-like contractions of muscles). Dementia pugilistica - Also called chronic traumatic encephalopathy, dementia pugilistica primarily affects career boxers. The most common symptoms of the condition are dementia and parkinsonism caused by repetitive blows to the head over a long period of time. Symptoms begin anywhere between 6 and 40 years after the start of a boxing career, with an average onset of about 16 years. 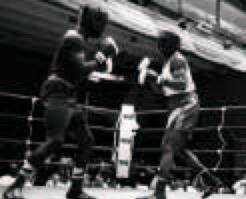 Post-traumatic dementia - The symptoms of post-traumatic dementia are very similar to those of dementia pugilistica, except that post-traumatic dementia is also characterized by long-term memory problems and is caused by a single, severe TBI that results in a coma. Dementia pugilistica is a condition caused by repetitive blows to the head over a long period of time. Symptoms of the disorder, which primarily affects career boxers, include dementia and parkinsonism. Rehabilitation is an important part of the recovery process for a TBI patient. During the acute stage, moderately to severely injured patients may receive treatment and care in an intensive care unit of a hospital. Once stable, the patient may be transferred to a subacute unit of the medical center or to an independent rehabilitation hospital. At this point, patients follow many diverse paths toward recovery because there are a wide variety of options for rehabilitation. Testing by a trained neuropsychologist can assess the individual's cognitive, language, behavioral, motor, and executive functions and provide information regarding the need for rehabilitative services. In 1998, the NIH held a Consensus Development Conference on Rehabilitation of Persons with Traumatic Brain Injury. The Consensus Development Panel recommended that TBI patients receive an individualized rehabilitation program based upon the patient's strengths and capacities and that rehabilitation services should be modified over time to adapt to the patient's changing needs. * The panel also recommended that moderately to severely injured patients receive rehabilitation treatment that draws on the skills of many specialists. This involves individually tailored treatment programs in the areas of physical therapy, occupational therapy, speech/language therapy, physiatry (physical medicine), psychology/psychiatry, and social support. Medical personnel who provide this care include rehabilitation specialists, such as rehabilitation nurses, psychologists, speech/language pathologists, physical and occupational therapists, physiatrists (physical medicine specialists), social workers, and a team coordinator or administrator. * National Institutes of Health Consensus Development Conference Statement, October 26-28, 1998. Rehabilitation of Persons with Traumatic Brain Injury. Bethesda, MD, September 1999. Rehabilitation therapy is an important part of the recovery process of TBI patients. 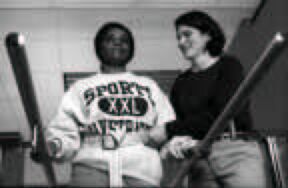 Above, a physical therapist works with a patient to help improve her ability to walk. The overall goal of rehabilitation after a TBI is to improve the patient's ability to function at home and in society. Therapists help the patient adapt to disabilities or change the patient's living space, called environmental modification, to make everyday activities easier. Some patients may need medication for psychiatric and physical problems resulting from the TBI. Great care must be taken in prescribing medications because TBI patients are more susceptible to side effects and may react adversely to some pharmacological agents. It is important for the family to provide social support for the patient by being involved in the rehabilitation program. Family members may also benefit from psychotherapy. It is important for TBI patients and their families to select the most appropriate setting for rehabilitation. There are several options, including home-based rehabilitation, hospital outpatient rehabilitation, inpatient rehabilitation centers, comprehensive day programs at rehabilitation centers, supportive living programs, independent living centers, club-house programs, school based programs for children, and others. The TBI patient, the family, and the rehabilitation team members should work together to find the best place for the patient to recover. How Can TBI be Prevented? Unlike most neurological disorders, head injuries can be prevented. The Centers for Disease Control and Prevention (CDC) have issued the following safety tips* for reducing the risk of suffering a TBI. Wear a seatbelt every time you drive or ride in a car. Buckle your child into a child safety seat, booster seat, or seatbelt (depending on the child's age) every time the child rides in a car. Keep firearms and bullets stored in a locked cabinet when not in use. Make sure the surface on your child's playground is made of shock-absorbing material (e.g., hardwood mulch, sand). Certain precautions, such as wearing a helmet when riding a bicycle or motorcycle and wearing a seatbelt when driving or riding in a car, greatly reduce the risk of TBI. *From the CDC, Department of Health and Human Services (http://www.cdc.gov/ncipc/pub-res/tbi_toolkit/patients/preventing.htm ).